Significant price reduction!! All offers will be considered. Enter the tree-lined driveway to a beautiful 1930s brick tudor, designed by architect oscar martin, featuring 5 bedrooms in the main house and a total of 6. 1 baths on 9. 58 acres. The grand foyer, with stairs set towards the back of the house, leads to either the formal living or formal dining room all of which includes exceptional millwork, oak floors, ten panel doors and leaded glass windows. The living room boasts tall ceilings, a fireplace, and built-in cabinetry with french door access to a three season sunroom with views of the landscape. The formal dining room boasts large windows and leads to the eat-in kitchen featuring white cabinets and appliances with granite counter tops and tile backsplash. The second floor includes a spacious master suite with full sitting room. Two other bedrooms and full bath complete the second floor. The third floor includes another bedroom and full bath. The lower level includes a finished family room, bedroom and full bath. The original attached garage was converted to additional living space including two bedrooms, two full baths, kitchen and family room. This area, with a private entrance, is ideal as an in-law suite, home-based business, retreat for older kids, or nanny/housekeeper quarters. An oversized 2 car detached garage, with an alcove for gardening, woodworking, puttering, etc. Was added later and built of brick to keep with the style of the original house. The pool and cabana face the main house across the driveway. 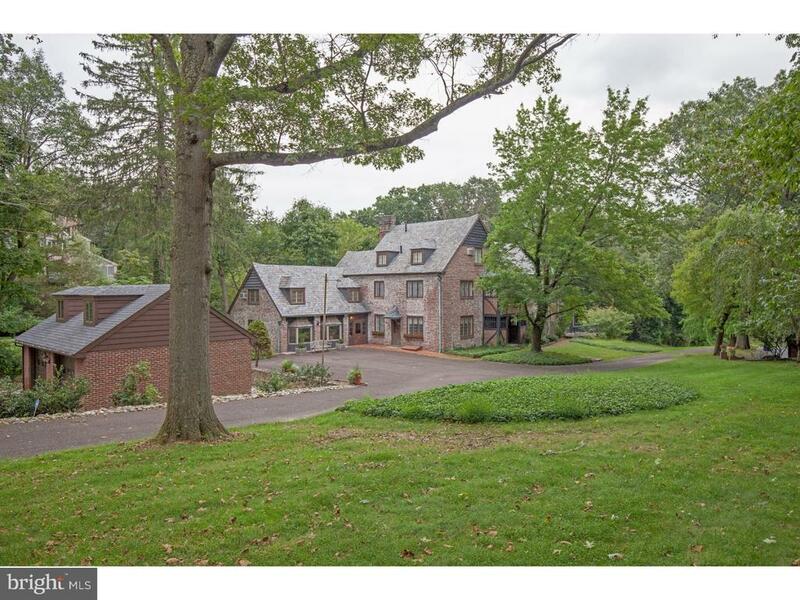 At the end of the driveway sits a historical lodge, the original doylestown ice house. This lodge features a great room with tongue in groove paneling, kitchen, bath, two bedrooms and enclosed porch. The lodge overlooks a 3-acre meadow coursing with babbling brook and filled with natural beauty and would be a perfect setting for an artist or musician~s studio, a guest house, a rental or a home-based business. 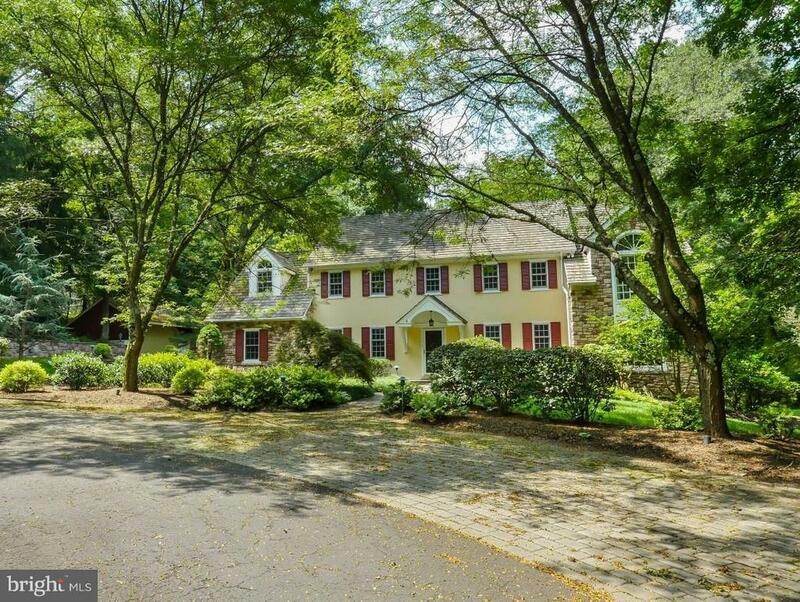 The main home sits well off the road for a very quiet, private and secluded setting. 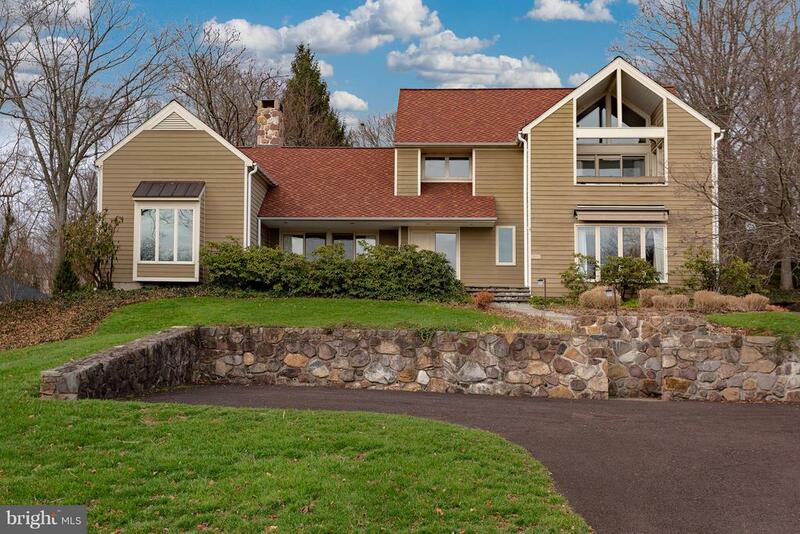 The location, while close to doylestown borough, also offers easy access to ny and philadelphia for a great home based office.